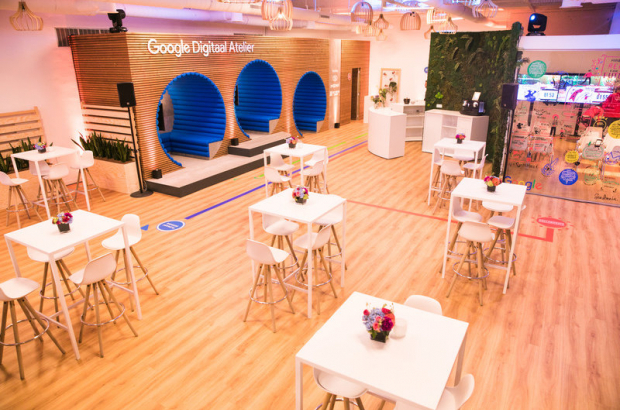 A new "digital workshop" opened by Google inside Brussels Central station aims to help 10,000 people a year improve their online skills. The facility, which was inaugurated on Wednesday afternoon, will offer free workshops as well as access to online training courses and is open to all. The new centre can be found within the BeCentral digital campus and is the first permanent Google digital workshop in Belgium. The concept began as an itinerant project in 2015 and since then has helped 40,000 people in Belgium better understand the internet and how to use digital tools. Mobility minister François Bellot, digital minister Alexander De Croo and SNCB chief executive Sophie Dutordoir attended Wednesday's inauguration on the station concourse. Oh it's a great opportunity for people to learn more about Google. I'm so happy that I find here this information, thank you! I am so pleased to read this news...... however..... sadly..... I do not speak Dutch and live in Antwerp...... are there any classes given in English? If so where can I find the link and sign up. I am sure there are many of us ex-pats living in my area who would love to attend such classes. Thank you.